Last school year, beginning with the end in mind, Mr. Robert took a survey of what learners would like to see either for the Makery or from the Makery. Of the many things our learners came up with, one of the biggest things they came back to was having more space in the Makery. 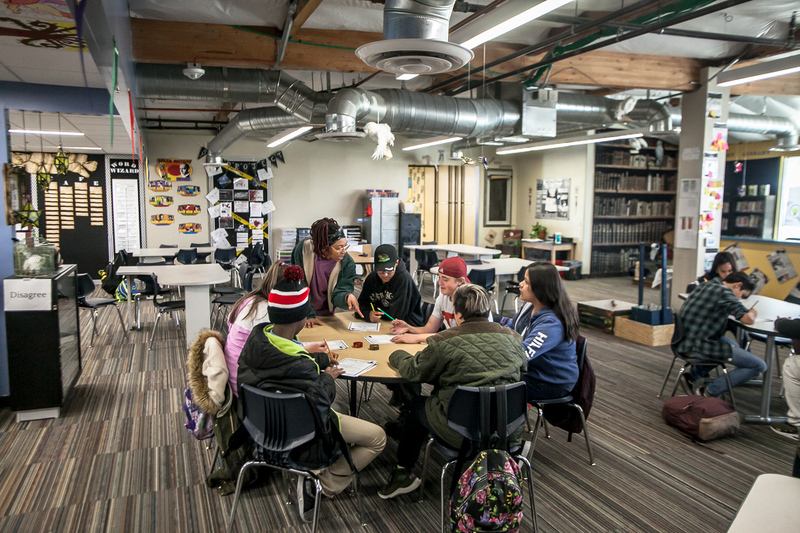 Each of the learners agreed having more space would not only give them the ability to get closer during demonstrations and instruction, it would also give them the opportunity to work on larger projects. 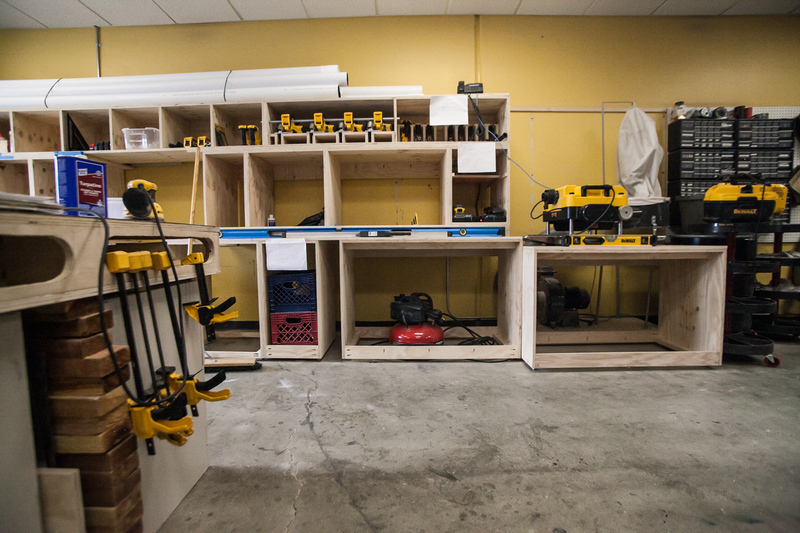 Since November, our learners have been working hard on a miter saw station. We knew you would ask, “What is a miter saw station?” As explained by Eva Hutson, a seventh grader who is part of our Innovation Studios Middle School class, “Our miter saw station has become the home to our power tools, our hand tools and, of course, our miter saw.” Through the hard work and dedication of the learners who have gone to various businesses getting donations, the miter saw station is nearly complete. Not wanting to sacrifice any safety, Mr. Robert, iLEAD Lancaster’s Makery Facilitator, has plans for locking cabinets and drawers. 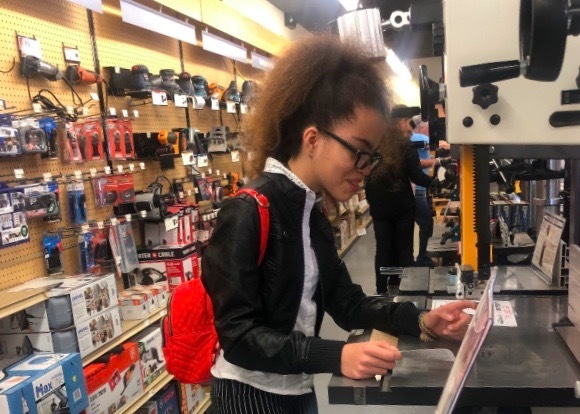 Our learners went to Rockler Woodworking & Hardware in Pasadena, California to inquire about getting the last of the hardware needed donated. Fearlessly, our seventh and eighth grade learners presented their case to the store manager. Our learners spoke not just about our “outside of the box” philosophy, but our passion about everything our community partakes in. From the pictures, you can tell our learners were not just successful but happy to say their hard work has paid off. You can see them pictured with the store manager, Mr. David Tilson. He listened intently and was not only encouraging, but also helpful. 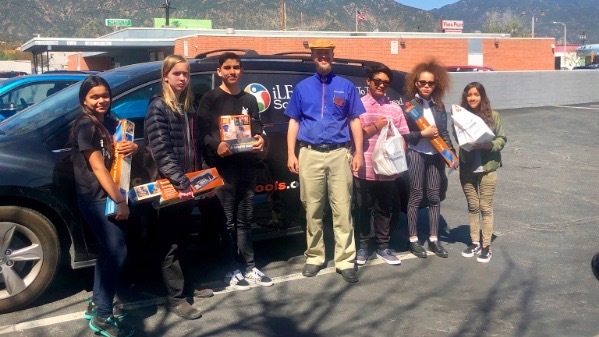 David at Rockler Pasadena gave to the iLEAD Lancaster Makery a wide array of things that will help the Makery in their success. But he has no plan to stop there. He is reaching out to his corporate office in our name to see what else they would be able to donate to our campus. This has been a fun project to see from start to finish, but what’s more important is seeing the pride on the faces of the learners when they come and see the work they did. 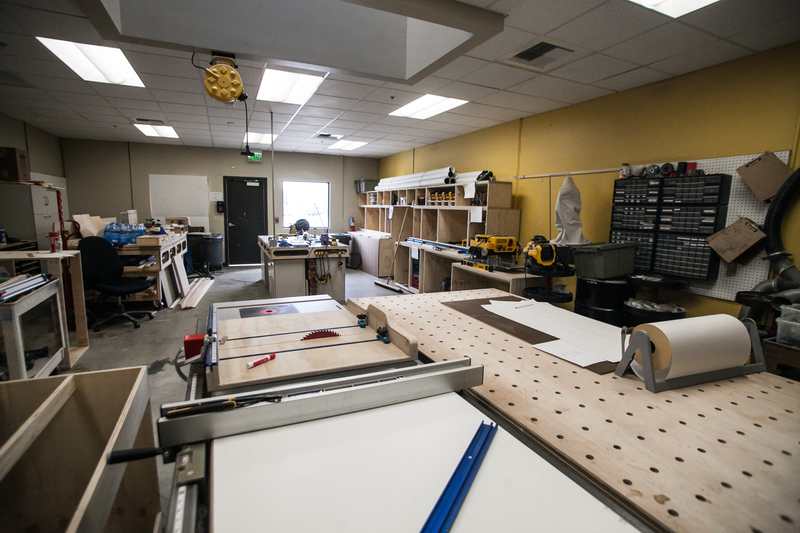 Each of Mr. Robert’s design tech classes has had a part in putting together the miter saw station.